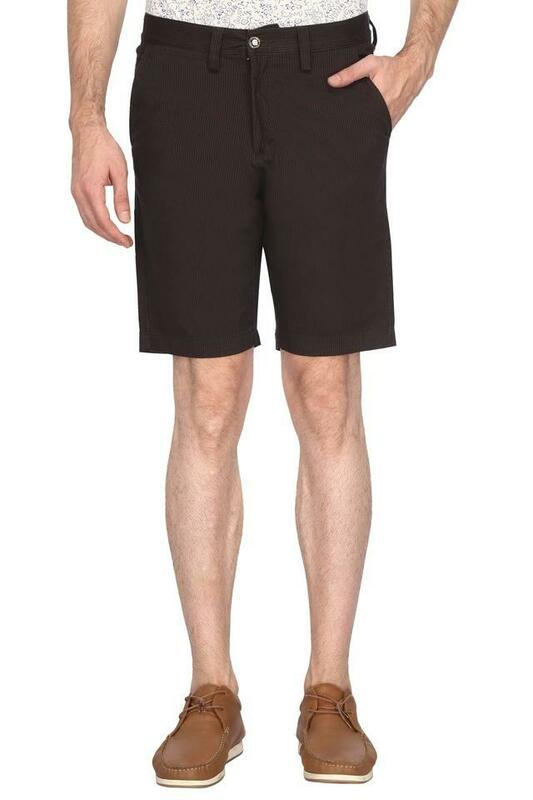 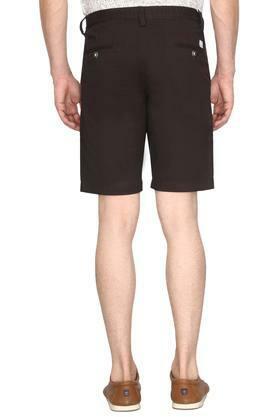 Enhance your wardrobe collection by adding this pair of shorts from Allen Solly. 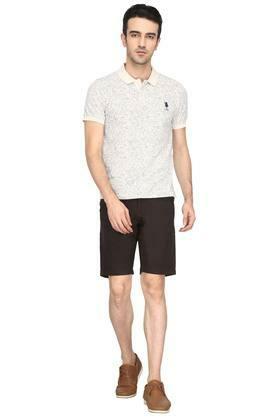 It features a printed pattern that renders it stylish. It also has a fixed waistband with button closure that will provide you with a proper fit. 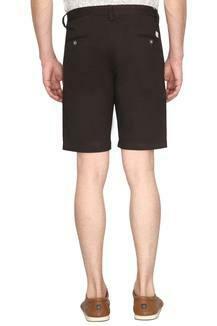 Moreover, it is comfortable to wear as it has been made of a premium quality fabric. 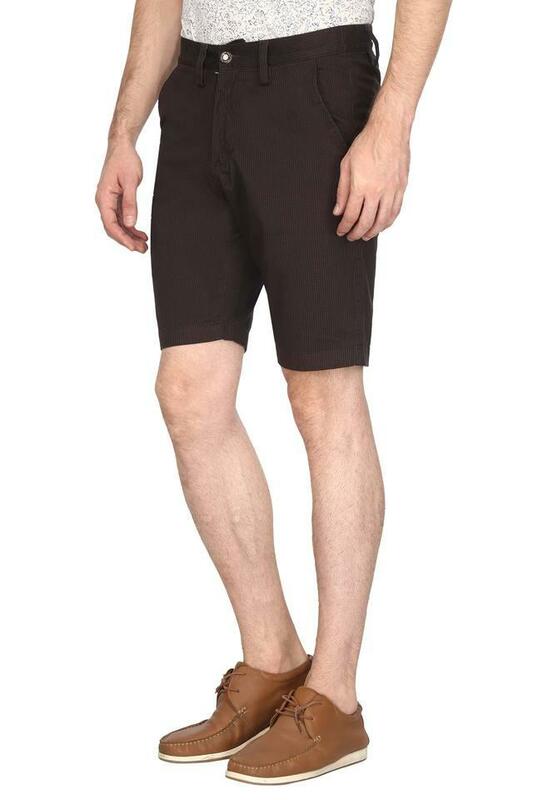 Crafted to perfection, this pair of shorts is just what you need before hitting the road. For a cool look, club it with a T-Shirt and a pair of loafers.